Making T-Shirts Really Is This Simple! | mrs. and the misc. Our family is in Disney World right NOW! I secretly wish my job was being Alice In Wonderland every day. Taking Presley, my baby, to Disney World is such a special moment. Yes, I realize he is almost 2 and won’t remember the trip but that’s what pictures are for 🙂 Not only are we here, but my husband’s whole family is, which means we are having loads of fun! So back to the title of this post. 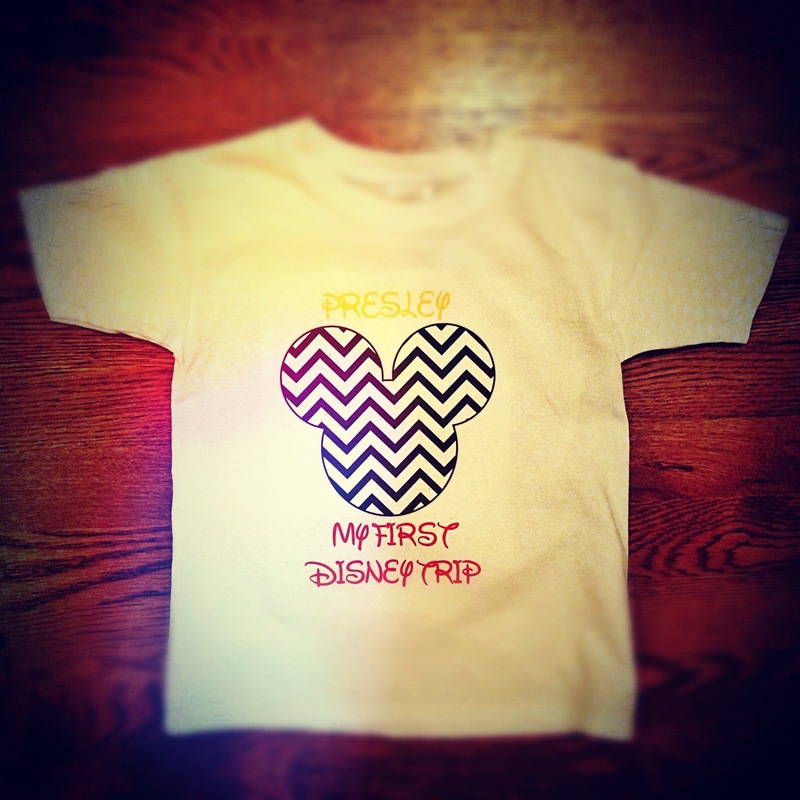 I started looking at shirts to get Presley since this is his FIRST trip to Disney World and I didn’t find what I wanted. So what did I do? I made one! It was a simple process and I’m happy with the way it turned out. 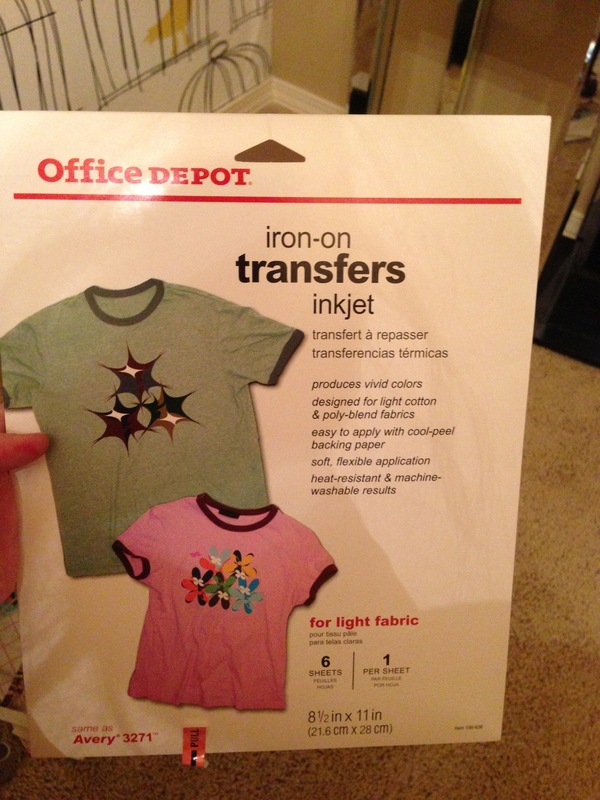 (I’m not so happy about the quality of the iron-on though.) I also made my nephew one to match! All you do is print out the design you create onto a sheet of this, just like you normally print things. After that, you lay it on the shirt and iron it on for about 2 minutes. Let it cool for about 5 minutes and then you’re done! Here’s the cute shirts! Not bad for a first try?!?! Like I said before, the quality isn’t great and you can definitely see imperfections and the lines around the edges. Good news is: When they are worn with a little zip-up hoodie, you won’t be able to tell in pictures :). 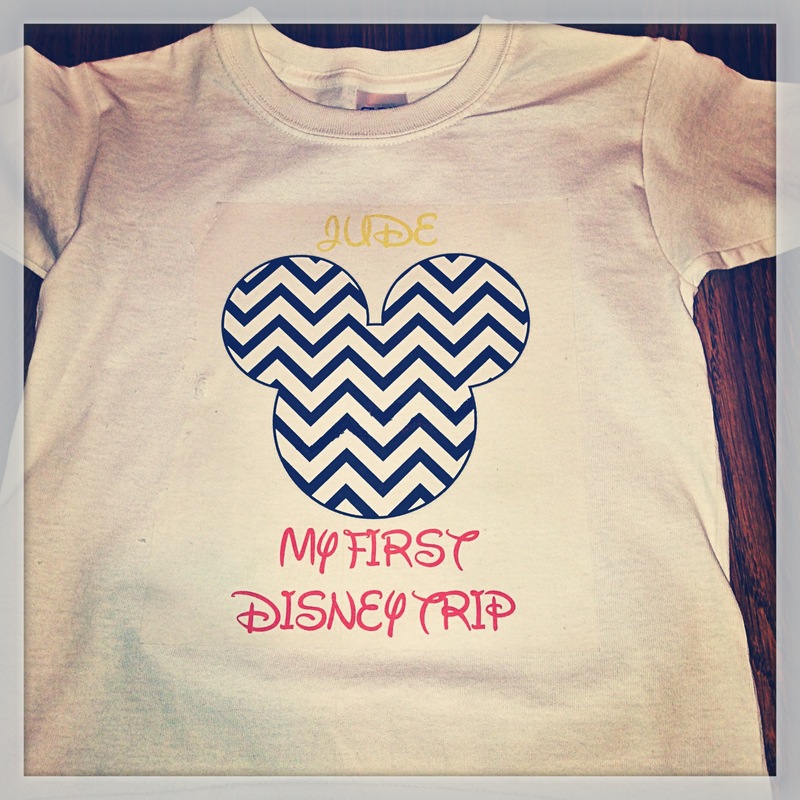 That’s all I wanted: a cute shirt for some pictures since it’s Presley’s First Disney Trip!